Two senators, David Tkachuk and Carolyn Stewart Olsen, who were overseeing the Duffy audit were part of the Duffy deal. In emails accessed by CTV’s Ottawa Bureau Chief Robert Fife, the two senators allegedly pressured Duffy to comply with Wright’s deal. In May, Duffy received a bailout cheque worth $90,000 to cover his inappropriate housing expenses on the condition he wouldn’t say a word of the deal. At first, he was lobbied to say he paid the money back, leading to the Conservative narrative that he did the honorable thing, however, this story fell to pieces as more information leaked. However, based on the acquired emails, Duffy initially refused to comply with the plan. This resulted in Tkachuk threatening to take away his senate seat on the grounds that he lived in Ottawa. Tkachuk allegedly told Duffy that since he was a senator for PEI, didn’t have a health card in PEI, nor was on PEI’s voting list, but lived in Ottawa, that he was ineligible for his senate seat. He told Duffy that if he complied with Wright’s deal, he would toss out the residency issue and soften the impact of the independent audit. Sure enough, Tkachuk followed through, with the help of Stewart Olsen, to whitewash the senate report. In one of the emails, Duffy says Wright called him on February 19 to promise he would pay off Duffy’s expenses, offering cash for repayment. After his secret cheque came to light, Harper and the PMO stood behind Wright until he resigned. What do you think of recent news that Wright was not alone with the Duffy deal? What do you think of Tkachuk’s pressure tactic on Duffy? 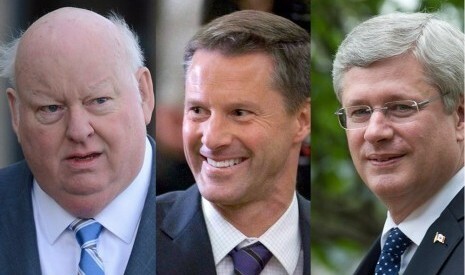 How much are the Conservatives trying to hide through Duffy?